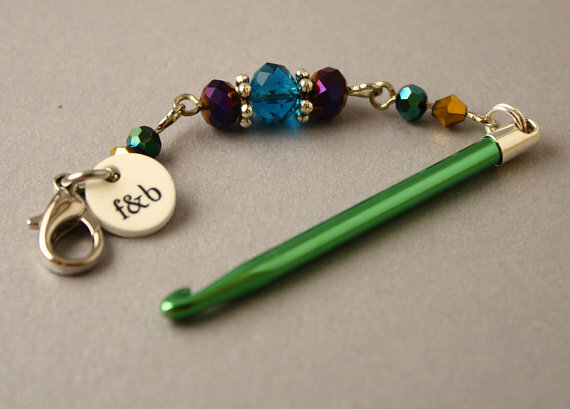 We've just had a delivery of sensationally sparkly stitch markers from Sarah at Fripperies & Bibelots. Patina is inspired by the colourful patination process in metal. 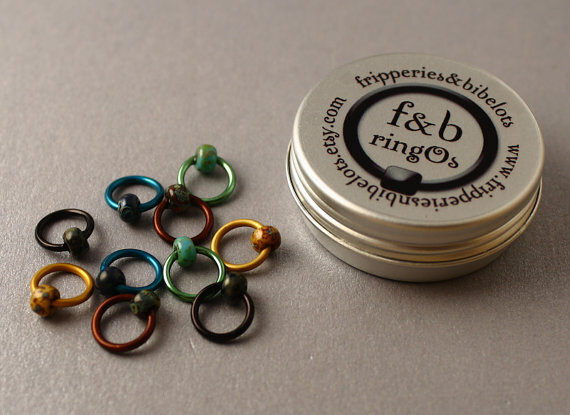 They are made from anodised aluminium rings and matching mottled seed beads. And some dangly sparkly row counters!